Maybe romantic boat rides, team sports, and partner yoga are out, but there are still plenty of ways to enjoy Los Angeles when you’re alone. In fact, some things are perhaps best enjoyed on your own. After all, who else likes all the same things as you but you? 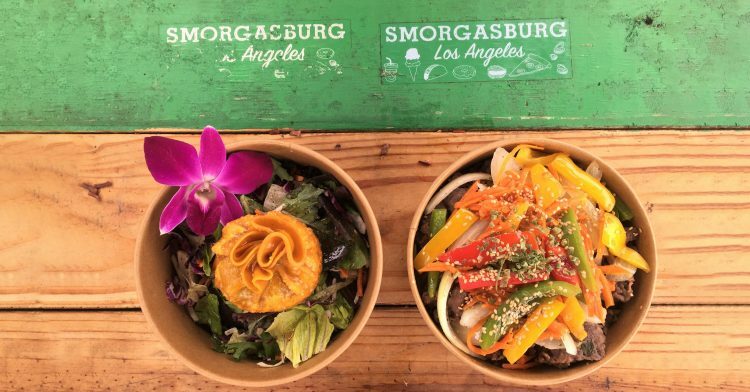 Here are nine ways to spend a solo day in L.A.
On Sundays from 10 a.m. to 4 p.m., a large lot at ROW DTLA transforms into Smorgasburg L.A. This massive outdoor food court, a New York import, has some of the best bites in the city. 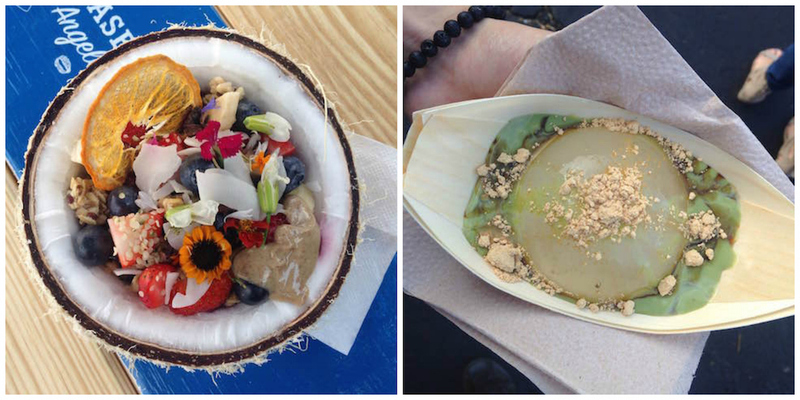 For the health-conscious person, there’s a beautiful acai bowl served in half of a hollowed out coconut. If you want flavor regardless of calorie count, try Ugly Drum. Their pastrami sandwiches are some of the best in town. Wander from stand to stand and indulge where you see fit—without anyone around to judge your choices. There may also be art, crafts and other merchandise you can’t eat, as well as adult beverages. 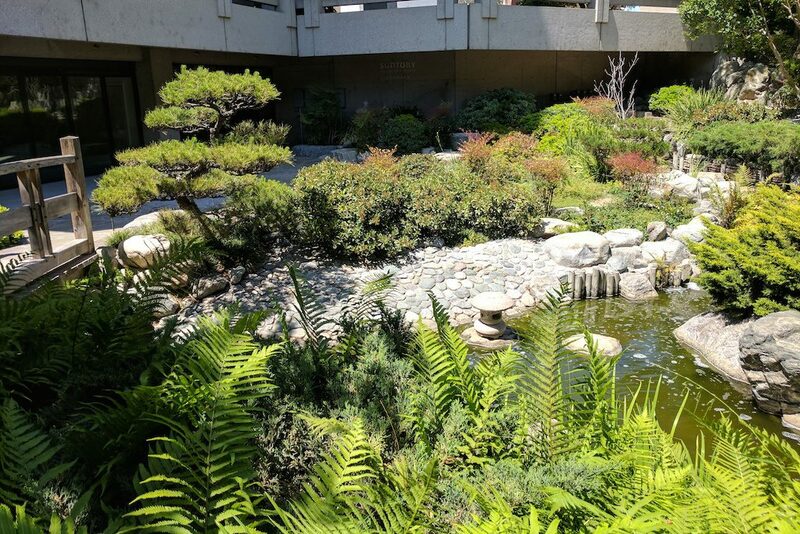 Located in Little Tokyo, the Japanese American Cultural & Community Center’s (JACCC) mission is to serve as “a hub for Japanese and Japanese American arts and culture and a community gathering place for the diverse voices it inspires.” Anyone is welcome to stop by, and the reason it makes this list is due to the beautiful James Irvine Japanese Garden. Modeled after the gorgeous gardens in Kyoto, it is a tranquil space that seems far removed from the rest of downtown Los Angeles. Visitors can use this space to read, journal or meditate. It’s open Tuesday through Friday from 10 a.m. to 5 p.m., and on Saturdays and Sundays from 10 a.m. to 4 p.m. Guests are advised to call ahead to ensure it’s available for public use, as weather or events may impact its hours. If it is, it’s free to enjoy. This cozy coffee shop is set in a big, brick building and offers both indoor and outdoor seating. They serve breakfast and lunch fare, plus coffee, tea, and pastries. The best spot for being alone here is The Study. Solo desks, each brightened by a lamp, are available, and guests must agree to be quiet. Dogs are allowed on the patio. The Velaslavasay Panorama is a curious look back in time. Before people went to see movies, they went to see panoramic paintings. 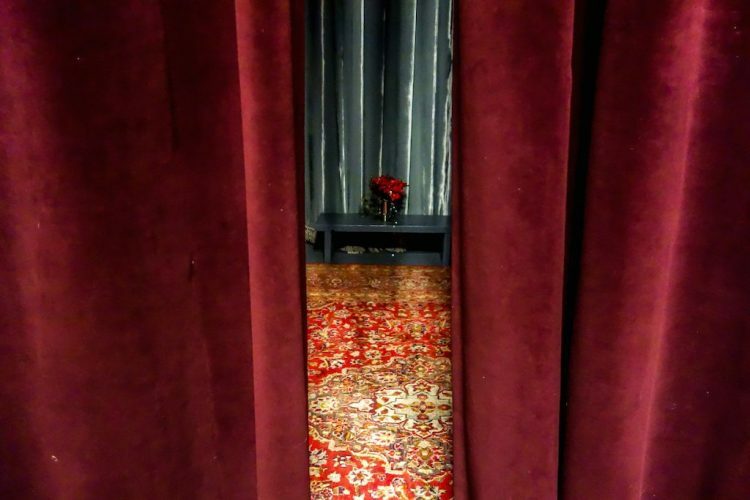 Here is where you can still see such a thing—a 360-degree painting, plus effects, presented in an old theater. A garden and rotating exhibits make this a good place to spend some solo time, especially because the suggested donation is only $6. It’s only open on Friday, Saturday, and Sunday from noon to 6 p.m.
Los Angeles’ secret stairs are a great way to get in some exercise without committing to a hike in the wilderness. For great views, try climbing up to the Baldwin Hills Scenic Overlook. They’re not the tidiest steps, but there are 282 of them, and the view’s great. The most sought-after stairs around town would have to be the Micheltorena Stairs, located in Silver Lake. Painted with bright colors, they are a popular sight on Instagram. There are 177 total steps. 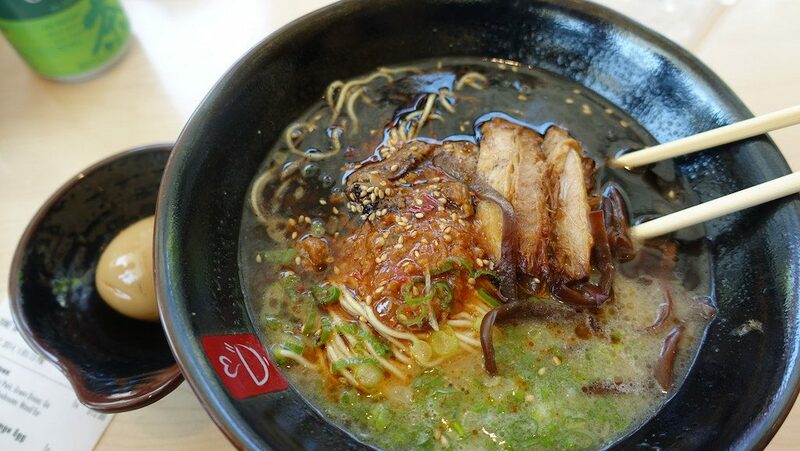 Ramen is comforting and ideal for eating alone; you can slurp without trying to maintain a conversation. Tatsu Ramen allows you to order and customize your bowls via an iPad so that you can interact with even fewer people. In addition to ramen, they have rice bowls, ramen burgers, and pork buns. They’ll even make your ramen gluten-free. Named for actor and singer Gene Autry, the Autry Museum of the American West explores the history and culture of the region. Find exhibits on Native American culture, life in the Old West, and Western art. A highlight is the museum’s ethnobotanical garden, which contains over 60 native plants. It’s perfect for solo exploring. 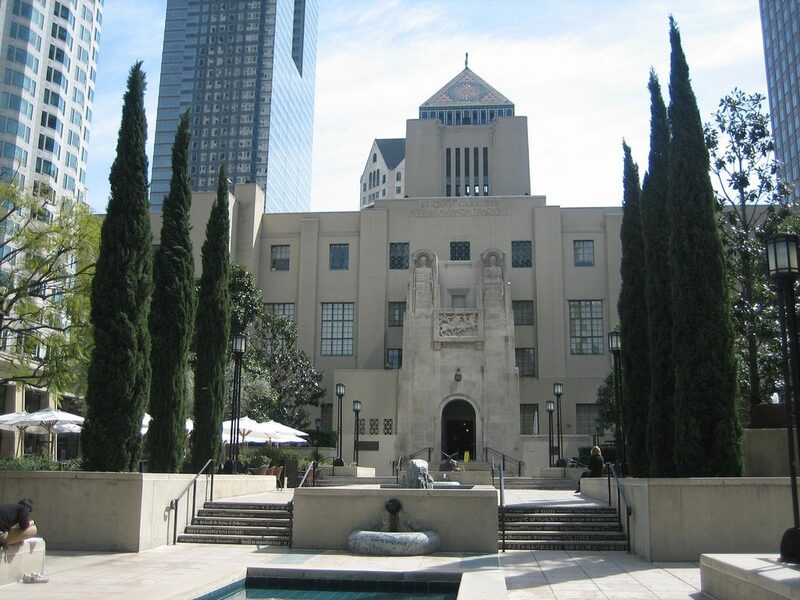 The L.A. Public Library is easily accessible by public transit, has decent wi-fi, and lots of books and magazines. It’s a free way to spend hours alone without getting bored or feeling like you should have brought a friend. Bring along a pair of headphones and find a secluded spot in one of their cubicles, where you can read, journal, work on your laptop, or just lean back and listen to a podcast. You can do all three things at Wanderlust Hollywood. The serene studio offers numerous types of yoga classes for all levels, with meditation either before or after—or both. Stick around for breakfast in the café, where freshly made avocado toast, healthful bowls, coffee, and smoothies are available.